If you haven’t yet heard the awesome news I’ve shared on my Instagram and Dayre.. FANCL is now back in Singapore!! I was invited to visit FANCL’s regional office in Hong Kong to reacquaint myself with FANCL, and I have to say that I am now a born-again believer of FANCL! I was a user of FANCL’s products like their iconic Mild Cleansing Oil a few years ago when they were still in Singapore previously, but I haven’t used their products in a very long time. Early morning airport shot hehe, kindly taken by Cheryl, AKA BeautifulBuns! Had a comfortable flight on SQ and we arrived in Hong Kong and checked into Marco Polo Hong Kong at Tsim Sha Tsui. I also stayed at Marco Polo the last time I was in Hong Kong, and it’s definitely one of the most comfortable and luxurious hotels I’ve stayed in Hong Kong!! Yayyy! Two beds for little ole me to roll around in.. Perfect!! And lookie! Discovered a little surprise package from FANCL, containing FANCL product sachets for me to use during the next two days! Got even more excited already. We took some time to freshen up before our first stop of the day: A visit to FANCL’s regional office located next door at Harbour City. Walkable distance from our hotel too! On the way to the office, we walked past F&H By FANCL, FANCL’s health supplements store where you can even get a health analysis and body composition done in-store so that you get personalised product recommendations! Interesting, huh? Hello from FANCL’s regional office! Thank goodness the kind folks at FANCL fed us before our programme started. Absolutely famished after the long morning and we attacked these goodies like a pack of hungry wolves. These desserts and cakes are from DALLOYAU and they were soooo good!! FANCL’s history goes all the way back to the 1970s, and was founded in Japan as a solution to women who were facing allergenic reactions after using existing skincare products in the market. FANCL’s founder began conducting research of various skincare product ingredients with dermatologists. After countless rounds of testing, he discovered that preservatives, disinfectants, and other irritating chemicals were causing sensitive reactions and even chronic damages. 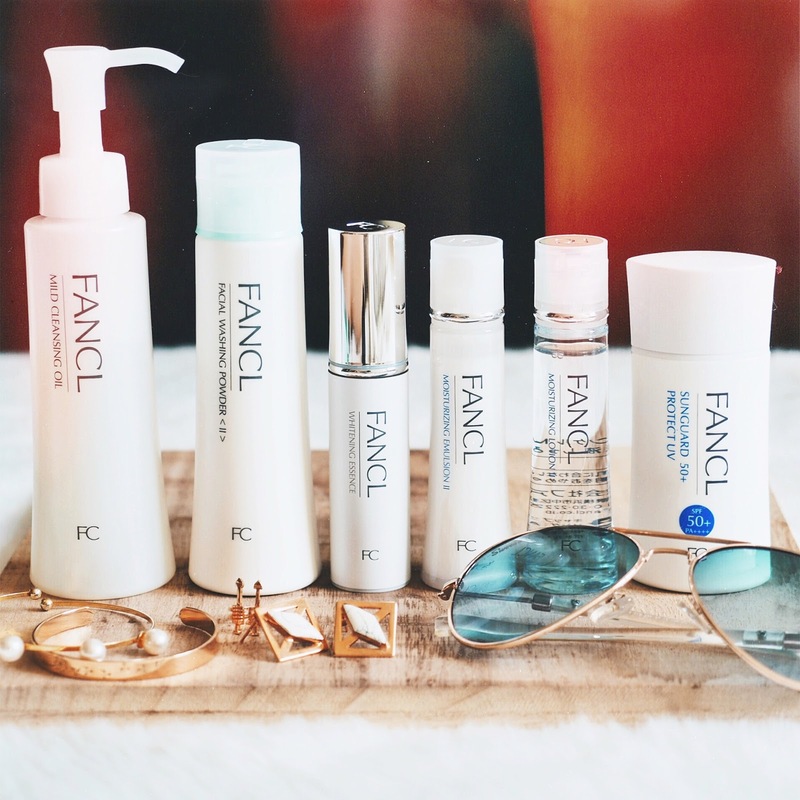 Thus, FANCL decided to break with tradition and in the 1980s and successfully developed and launched the FANCL skincare products, which contain zero preservatives or harmful additives, yet achieved better results! After years of lab research, FANCL discovered that skincare products containing preservatives causes accumulated stress to cells and aggravates oxidation damage. These problems will lead to weak, sensitive skin and premature aging! The best way to keep skin youthful and to delay aging is to avoid preservative contamination. The presentations were really impactful and I have to admit that I got quite a shock to learn from FANCL that preservatives in all our regular skincare products were supposedly so bad for us! The small size bottle is the embodiment of FANCL’s “fresh” philosophy. The “click” sound heard while opening a sealed product indicates that cutting-edge technology was employed on the product to ensure every drop is pure, clean and uncontaminated. The “small size bottle” used in FANCL packaging ensures that products remain fresh and pure from the day of opening right up to the last drop. All FANCL skincare products are produced on a closed, fully automated, sterile production line, immediately sealed after filling, and sterilized at high temperatures to ensure that consumers receive the product in a sterile state. All FANCL skincare products are produced on a sterile production line and are clearly marked with the date of production along with the optimal freshness period after-opening to remind users that maximum efficacy of active skincare essences is achieved by using the product at its freshest. I was even more impressed by the hands-on demonstrations that truly showed off FANCL’s star products, like the Mild Cleansing Oil. A demonstration pitting Mild Cleansing Oil against its fellow competitors..
Of course, FANCL outperformed its two competitors, and you can see that the lime that was cleansed with Mild Cleansing Oil is the cleanest amongst all three! PS. The New Generation Nano Cleansing Formula even contains Keratotic Plug Removal Oil that helps to dissolve dirt in pores to prevent blackheads and acne! This other demonstration got me real intrigued too! FANCL’s Moisturizing Lotion as well as four other toners/lotions were put to the hydration test with paper pill masks. After the masks have had time to absorb the products, they were then laid out on pieces of acrylic. FANCL’s Moisturizing Lotion was absorbed the fastest and the sheet mask stayed moist and soft even after some time out in the air! The most astounding demonstration showed FANCL’s whitening supplement and how it turned iodine water absolutely clear, in comparison to lemon juice, which is known for its anti-oxidation properties! Made me want to go out and buy a pack of the supplements immediately, really. Candy from FANCL explaining to us about the causes of aging and loss of collagen. And in case you didn’t know, Tense Up is FANCL’s star collagen supplement products! It contains Tri-peptide that has easily-absorbed smaller molecules and therefore can be absorbed quickly and effectively. Another hands-on activity that we had fun with was to play with FANCL’s Facial Washing Powder and Foaming Ball to create this thick, bouncy, marshmallow foam that feels amazing on the face. I’ve been using Facial Washing Powder ever since I returned from the media junket and it leaves my face feeling so fresh and comfortable after cleansing! Finally, we did an in-depth skin analysis to find out the condition of our skin and to suss out problem areas! I definitely need some help in the skin department: I thought that my skin wasn’t too bad but certain areas of my face (like my forehead and cheeks) scored really poorly! 🙁 You’ll be able to get this skin analysis done at the FANCL counter in Singapore, too! We ended the informative and interesting session at the office just in time for dinner at EPURE, a gorgeous French fine dining restaurant situated within Harbour City as well. Any excuse to dress up a little, right? Heh! The food at EPURE was soooooo amazing! Just the bread basket and garlic herb butter that were so delicious I had to stop myself from gobbling them all up. Served with a mother-of-pearl spoon so as not to taint the delicate taste of caviar! Full marks for being so meticulous with every single dish. This tasted like the essence of mushroom goodness, I swear. There is no additional flavouring used and it was heavenly! Just look at that generous amount of black truffles! This had such an interesting texture and deliciously earthy flavour. Deliciously tender slab of wagyu beef, and that little puff onto is actually made from a special potato that puffs up like a corn kernel when you fry it! So much effort and thought put into every single dish on the menu. A pre-dessert palate cleanser to refresh our tastebuds and get ready for the sweets! I loved the melt-in-your-mouth meringue that encased sweet and delicious tropical fruit. It had a nice balance of textures and flavours! And we finally ended the sumptuous dinner with this lovely selection of tiny cakes and tarts! BURPS. Was so so so full and satisfied after this wonderful dinner. Thank you for the wonderful night, FANCL! Before I crashed for the day, I diligently went through my FANCL skincare routine with these product sachets! I really enjoyed how light-weight and easily absorbed these FANCL products were, and how they left my skin feeling comfortable, moisturised and supple! The FANCL stores in Hong Kong are pretty cool. All of them are big, spacious and so pretty! Melikes how this store looks so artsy and different from other FANCL stores! There’s an Art Zone area where digital screens project video installations in all 360 degrees and it’s a fun experience to just stand there and be immersed in all those moving images! The concept store has got a really pretty interior as well as product displays! And check out that perfectly-formed blob of foam from FANCL’s Facial Washing Powder! This particular FANCL store at Cityplaza carries FANCL make up!!! Unfortunately, FANCL in Singapore isn’t bringing in the makeup range at the moment.. I didn’t even know FANCL had a makeup range! Posing with a giant bottle of TENSE UP supplement! This is one of FANCL’s star products and is wildly popular. It is supposed to be a miracle anti-aging potion O_O I can’t wait to try it! The third and last FANCL store we visited is also the newest FANCL store in Hong Kong! Miyake and I giving our best chi-chi look. This lovely space is actually part of the FANCL store! Why so nice one? I also wanted to share what I bought from FANCL: Their dietary supplements, Calorie Cut and Fat Burner! Calorie Cut (to be taken before a meal) helps to bind caborhydrates and reduce your calorie intake as the name suggests, while Fat Burner (to be taken after a meal) helps to burn excess calories! I’m always trying to control my diet and maintain my weight anyway I thought it would be interesting to try them and see if they work. Love that they come in individual sachets that make it very convenient to carry around too! Our final lunch at Chiu Chow Garden before the group parted ways at the end of the media junket. Yummy dimsum that had me way overloaded on calories!! Good thing I took Calorie Cut before this meal so I hope that helped to negate some calories. Haha! FANCL is now available in Singapore at Isetan Scotts (Level 1)! Enjoy $50 off your first purchase when you flash the iFANCL app at any local FANCL counter. 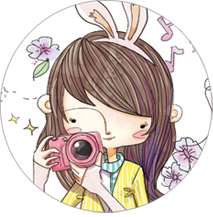 You can also take a look at FANCL Singapore’s website to check out the range of products available!